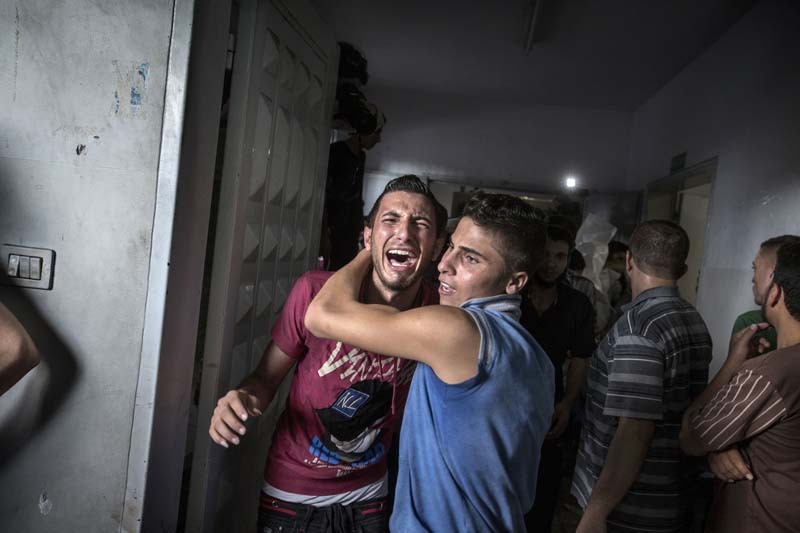 The party turned into a tragedy when an Israeli shell hit the playground. At least ten of the children that gathered in the park to celebrate Eid al Fitr died during the attack. Small bundles in white plastic are carried into the morgue. When the news about the latest attack spread grief-stricken family members gather outside the hospital.